In order to develop a successful change management effort its necessary to follow a comprehensive methodology, which understands both, the leadership style and the group dynamics of the company. · Change Management guarantees full delivery of the value planned thorough all the implementation process. · Understanding the Leadership Style of the key players of the organization allows to design solutions that fits the Company’s way of doing business. 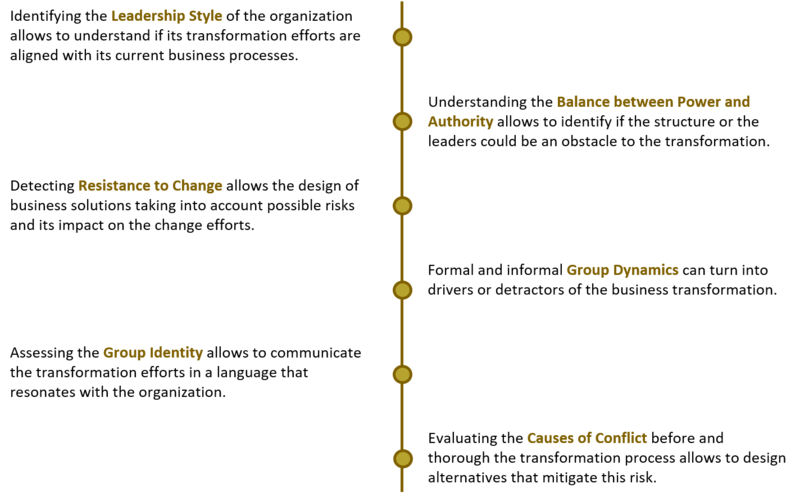 · Understanding the Resistance to Change and possible Causes of Conflict allows to design time efficient solutions with the minimum human cost.